Great! You have lined up your Elite Nanny but now where do you go? Check out our list of options! Launch On An Adventure on Anna Maria Island With An Award Winning Company! Book A Little Sunshine works with Elite Family Care to offer a one stop concierge and experience booking center to help launch you on your next adventure. 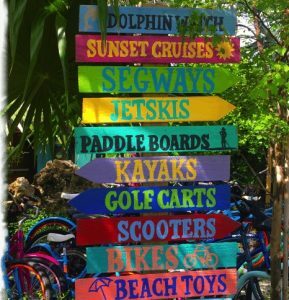 Whether you’re looking for bike, kayak, stand up paddle board, scooter, golf cart, beach equipment rentals or one of our hand selected local tours or adventures, our staff will leave no stone un-turned to provide families of an unforgettable personalized experience. We invite you to come visit us at our shop on Historic Bridge Street next to the Bridge Walk Hotel office or call us at . Wood fire pizza, extensive wine list and piano bar. Authentic Italian cuisine. Continental cuisine. Fine dining in the downtown theatre district. Continental and contemporary American cuisine. Seafood, steaks and an extensive salad bar overlooking New Pass. Cuban, Spanish and American cuisine. Peruvian fine dining & brewery. Fine dining in a romantic tropical setting, casual dining and desserts in the Hayeloft upstairs. Continental, Specializing in steak and seafood. Continental and seafood cuisine. Gourmet take-out. Fresh lobster and seafood dishes. of Sarasota Bay and marina. Italian cuisine in the heart of downtown. 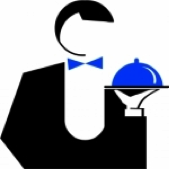 Fine dining specializing in steaks and culinary specialties. Upscale sports bar and pub. Asian, Caribbean and traditional Italian specialities. Views of Sarasota Bay. Hawaiian fusion. Fresh and local seafood. A tropical theme café with Caribbean cuisine and entertainment.